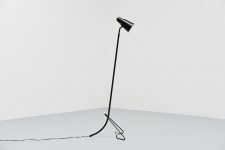 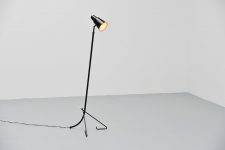 Very nice floor lamp most probably made by Asea, Sweden 1960. 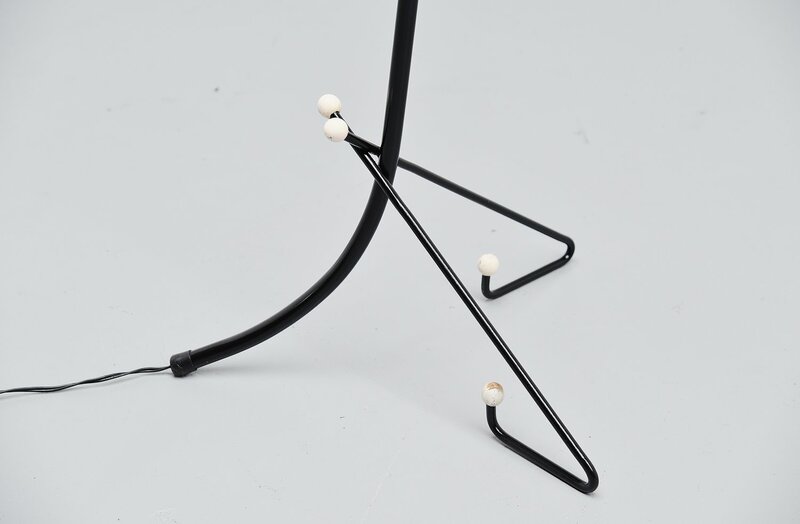 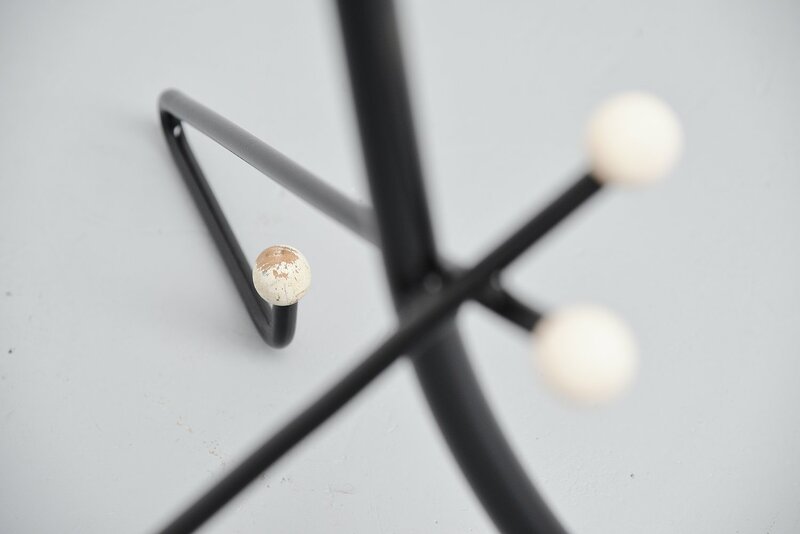 This lamp has a very nice and unusual base finished with white lacquered wooden balls. 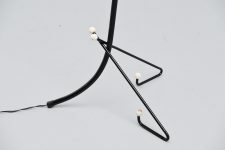 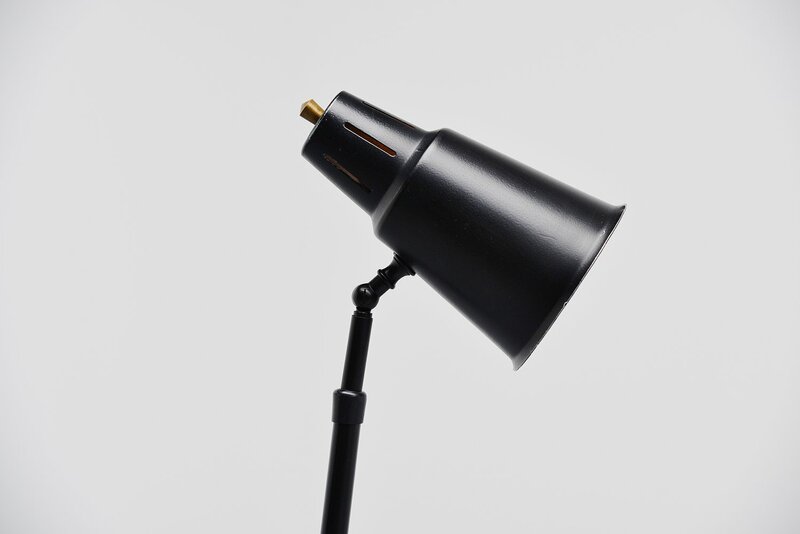 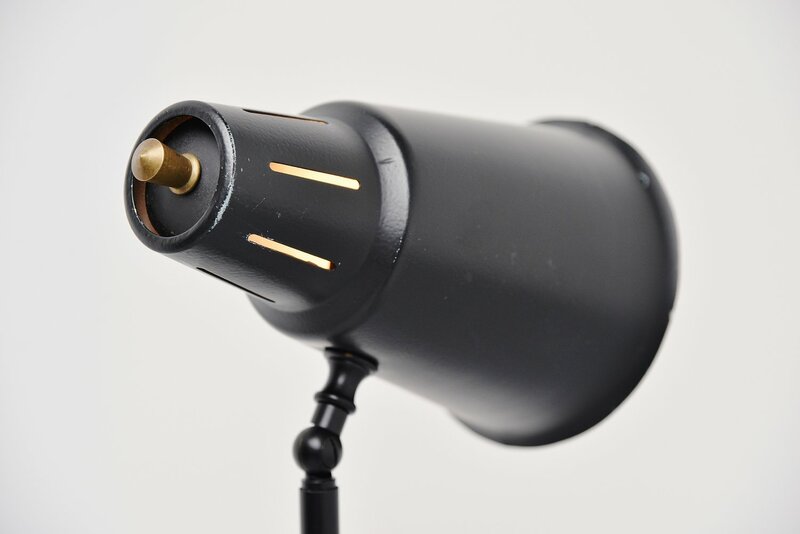 The lamp is black lacquered and very nice as a reading lamp. 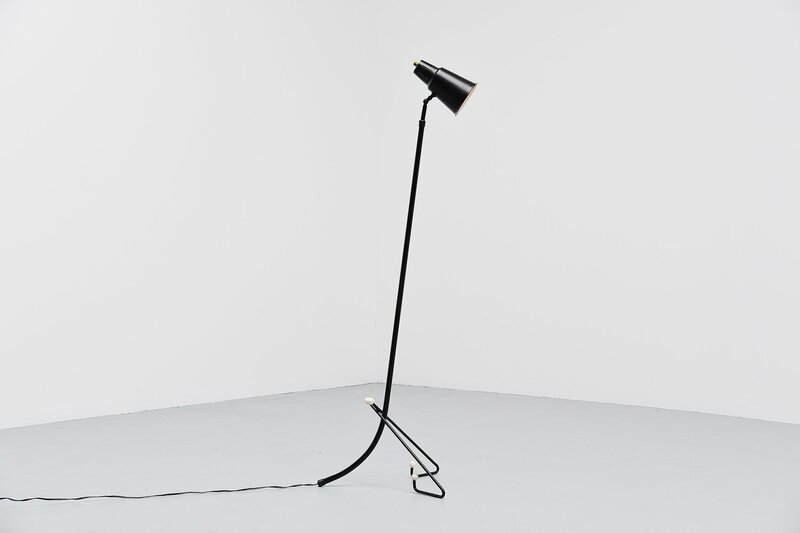 The shade can swivel and adjusted up and down. 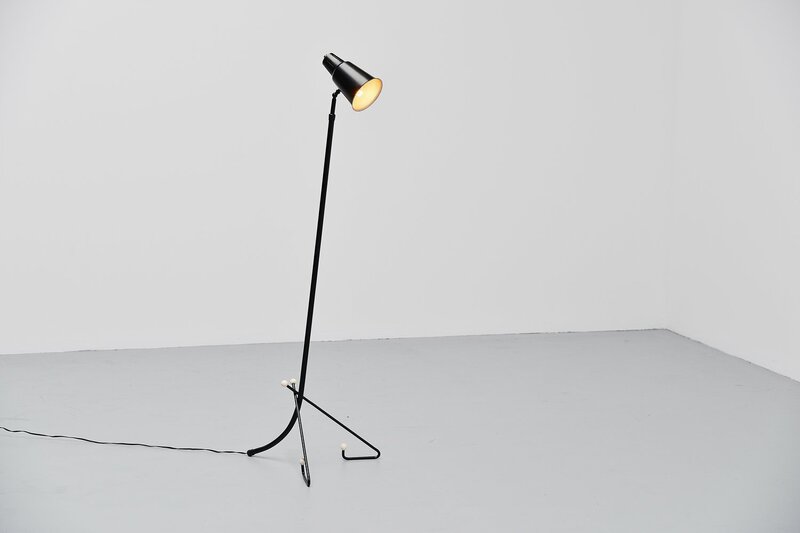 Very nice reading lamp in original condition.